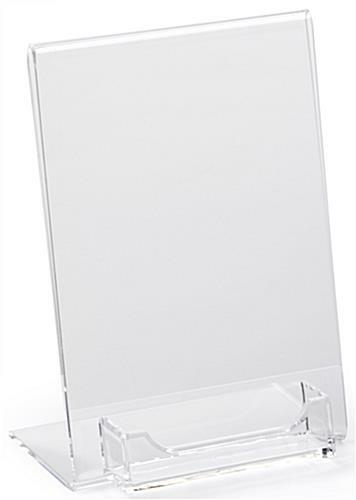 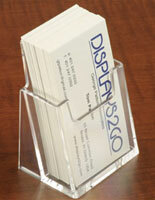 This clear tabletop stand with contact dispenser has a unique angled design with side loading. 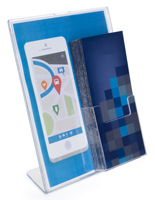 An acrylic literature holder like this is mounted on a desk or counter top for distributing promotional and informational literature. 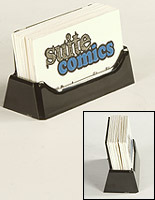 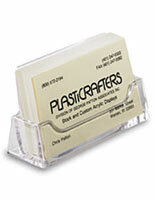 This tabletop stand with contact dispenser, also known as a plastic enclosure, is 7" high and 5" wide. 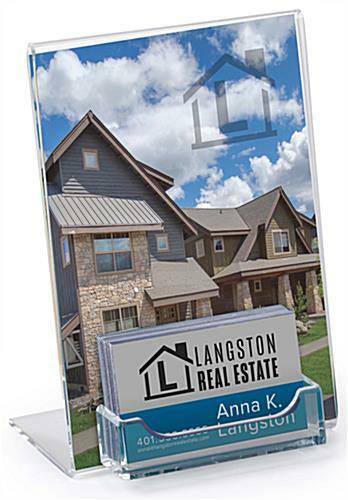 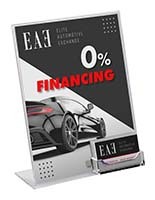 Buy this two-in-one display for real estate offices, schools, doctor's offices, and more. 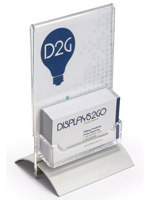 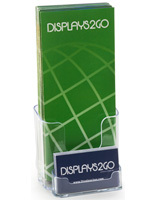 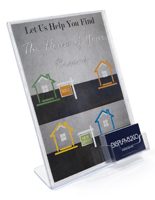 This stand with contact dispenser is easy to update with graphics printed in an office, store, or at home.